The Mental Handicap Project, like Vagrancy before it, and the Old Age Project which followed in 1979, are often remembered with the greatest affection by Lenkiewicz’s admirers. To persuade so many families to participate in the Project required great sensitivity and tact and this is evident in the pathos and dignity of the resulting paintings. 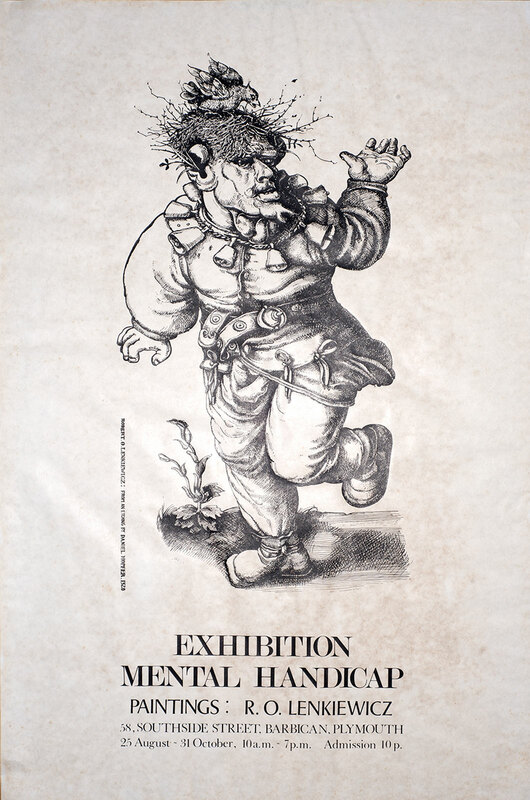 In Mental Handicap Survey Plymouth, the booklet accompanying the exhibition, physiotherapist Dr Hans de Rijke, who became a lifelong friend of the artist, summed up the public perception of the exhibition as: “... a mirror to the world. There but for the grace of God go I. Hence this exhibition. These are people. These are part of our society. They are ourselves.” Each family contributed to the survey their response to a short questionnaire about the impact of their child’s condition on their lives. This is entirely consistent with his Nietzschean view that altruism is simply self-interest with its agenda carefully hidden and, like pity, the Christian virtue most despised by Nietzsche, both demeans and condescends. This person is “NORMAL”. He/She is not mentally handicapped. Price: £Very expensive but always available at a price. Jacob's Ladder studio showing 'The Night Watch' still intact, 1976. A. This person is “NORMAL”. He/She is not mentally handicapped. Price: £Very expensive but always available at a price. Venue: 'Jacob's Ladder' studio, 58, Southside Street, Barbican, Plymouth.